And the books and authors being suggested are a great way of learning about books you haven't read. We have participants from all over the globe too. A note to remember: We'll have a little rest on the week beginning April 24. There's a double public holiday here in Australia for Easter Monday and then Anzac Day. But we'll start up again on Monday May 2. The four stories in this anthology have something in common in addition to the word “hell” in their titles. The heroes travel dark and dangerous paths as they confront devilish and powerful villains. The journeys are by land, by sea, and in one case, perhaps only in the mind. In El Valiente en el Infierno, (The Brave One in Hell), a 13-year-old Mexican boy tells his own story as he makes a treacherous midnight crossing into California in search of his father. The boy’s courage is tested when he runs into two gun-toting American vigilantes, and the confrontation will change all of them forever. A Hell of a Crime: A prosecutor prepares for a homicide trial while being pestered by his domineering mother, a famous lawyer herself. Just what role did she play in the murder? And how is the prosecutor’s enigmatic wife involved in the case? It’s a mystery with a punch to the gut at the end. Two of the author’s best-loved characters, Steve Solomon and Victoria Lord, appear in Solomon & Lord: To Hell and Back. The ethically-challenged Steve Solomon and the very proper Victoria Lord are mismatched Miami law partners. Steve says he's going fishing with Manuel Cruz, a sleazy con man. Victoria knows that Cruz embezzled a bundle from Steve's favorite client and is an unlikely fishing buddy. So just what is Steve up to now? Something between mischief and murder, Victoria figures. To protect Steve from himself – and Cruz – she hops aboard the boat, and the three of them head for deep water and dark troubles. For me the best of the stories was El Valiente en el Infierno and A Hell of a Crime. Both have an interesting twist at the end. I was a lot less interested in Development Hell and I thought To Hell and Back was just too long and felt as if it needed me to be familiar with the the central characters Solomon and Lord, which I'm not. Followers of these characters will probbably feel very differently about this short story. This e-book also includes quite a large excerpt from MORTAL SIN, a novel featuring Jake Lassiter. Lassiter is a lawyer with a dangerous conflict of interest. He’s sleeping with Nicky Florio’s wife…and defending the mob-connected millionaire in court. Florio has hatched a scheme deep in the Florida Everglades that oozes corruption, blood, and money. One false move, and Jake will be gator bait. 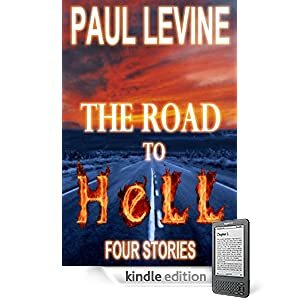 Whereas in another e-book that I reviewed just recently, DARK BLOOMS, this attempt at hooking me into reading more by the author felt that it worked well, in the case of THE ROAD TO HELL I'm afraid that it hasn't despite the fact that Paul Levine comes well-credentialled (see below). I actually felt as if I would have preferred more short stories instead of the excerpt. The author of 14 novels, Paul Levine won the John D. MacDonald fiction award and was nominated for the Edgar, Macavity, International Thriller, and James Thurber prizes. A former trial lawyer, he also wrote more than 20 episodes of the CBS military drama “JAG” and co-created the Supreme Court drama “First Monday” starring James Garner and Joe Mantegna. The critically acclaimed international bestseller “To Speak for the Dead” was his first novel. He is also the author of the “Solomon vs. Lord” series and the thriller “Illegal.” His next novel, “Lassiter,” will be published in hardcover—and as an e-book—by Bantam in Fall 2011. Visit Paul Levine on the Web at http://www.paul-levine.com. An e-book of short suburban noir fiction, a collection of 11 short stories, some little more than vignettes, each skilfully leaving something to the reader's imagination. Each story takes a scenario that may have crossed the reader's mind, like George in Tranquility enjoying his early morning solitude reading is newspaper at the kitchen table. Our newspaper delivery man appears to be attemtping to demolish a particular plant. In George's cases the delivery is deadly accurate in landing the paper in a puddle created on his driveway overnight by the watering system. In Sitting with the Dead, what deadly family secrets might Clara, her grandson's fiance, uncover with her stupid seances? And what about Superior, where road rage has a quite unexpected result? We all have neighbours who we "keep an eye on". Surveillance asks how they might see the fact that we are constantly watching them. In Reverberation a night of fire cracker celebrations triggers terrible reprisals. And have you ever worked back late in a creepy building? Work After Dark shows just how scary that can be. A lovely collection of flash fiction that explores some of those thoughts we've all had, that lie just beneath the surface. 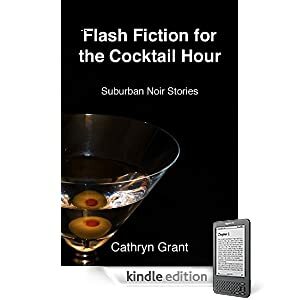 Cathryn Grant’s Suburban Noir fiction has appeared in Alfred Hitchcock’s Mystery Magazine and Ellery Queen’s Mystery Magazine. Her short story, I Was Young Once received an honorable mention in the 2007 Zoetrope All-story Short Fiction contest. 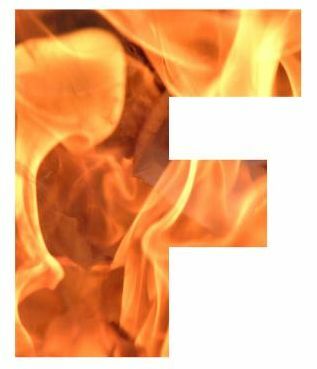 Her flash fiction has been published at Every Day Fiction and Powder Burn Flash. The threat begins with the death of the goldfish and then the dog. The new nanny Lei seems heaven-sent and then Grace realises she has a serious problem on her hands. All her life Violet has been managed and organised by others, her father, her husband, her best friend, and now her doctor. And now her independence is threatened again. But Violet is nothing if not resourceful. There's a bonus to these two shorts - the opening chapters of IRREPARABLE HARM, Melissa F. Miller's legal thriller available April 2011. Hemisphere Air's Flight 1667, a Boeing 737 enroute from Washington National to Dallas-Fort Worth International slams into the side of a mountain at full speed and explodes in a fiery wave of metal and burning flesh, killing all 156 people on board. This has the potential to ruin the airline overnight. And was the crash an accident? DARK BLOOMS is without doubt a ploy to whet the reader's appetite for more by this author. Both are well crafted quirky stories with unpredictable endings, and yes, I came away hooked. The promise of intriguing plots seemed to have been carried through to the opening chapters of IRREPARABLE HARM. DARK BLOOMS is available now at Amazon and at Smashwords in a variety of e-formats. You can learn more about Melissa at her website and at her blog. And, of course, follow her on twitter. Life got in the way last Sunday and I didn't get to write a Sunday Salon post or visit yours. Margot at Confessions of a Mystery Novelist is organising a charity raffle Do the Write Thing to raise money for Christchurch, New Zealand earthquake relief. She is asking authors to donate novels to the raffle and then will invite people to participate in a raffle for packages of novels by donating to the New Zealand Red Cross. Check Margot's blog post for details of how to participate. A couple of days ago I paid fees and accommodation to attend CrimeFest in Bristol in May. Do you read or write blog post reviews about Australian crime fiction? Caught up with Fair Dinkum Crime yet? Why do you read crime fiction? When did you begin to read crime fiction? I really must get around to doing another of those "virtual tours" but in the meantime here's a text version to assist you in navigation and exploration. this is just designed to take you to the stages on the journey of this year's Crime Fiction Alphabet. 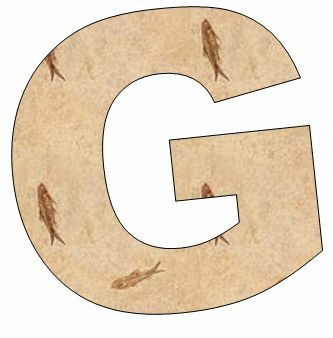 This week has been the letter G. Remember if you blog and like your crime fiction you can post a contribution to this. here I am keeping a running tally of how I'm going in the various reading challenges I've signed up for. I'm doing pretty well actually, 30 books read so far, and lots of "overlapping"
this shows nearly 400 reviews in order of my rating of the book. Don't put too much emphasis on the differences within a rating like 4.9 or between 4.9 and 4.8. But I've tried to think about my "top reads" - those that get a rating of 5 - so they really are in order, but there is an element of "brain fade" that plays a part. this takes you to Crime Fiction Journeys, a list of 100 blogs by crime fiction addicts which gives you a link and a few words from their latest post. Great if you are looking for some blogs to follow or just want to see what people are talking about. 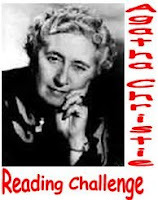 each month I host a monthly Agatha Christie Blog Carnival. This will also tell you about the Agatha Christie Reading Challenge. Customised Crime Fiction search - this is a Google search that I've created that searches about 100 sites mainly blogs about crime fiction. Great if you are looking for reviews of a particular book or author. There's lot more - but explore for yourself! As a result I had little idea about what I would find. What I did know was that WYATT won the 2010 Ned Kelly award for Best Fiction. Disher brings to his writing a polished style that is gritty, bare, and yet flowing. It suits the character of Wyatt who is also gritty, clever, prepared, focussed. He doesn't hesitate to kill if he has to, and there are times when he does, seemingly without compunction. The novel feels firmly embedded in its Australian environment, Victoria in particular. I don't think non-Australian readers will need a glossary or translation service though. One aspect that some readers may not like is that we are seeing crime from the criminal's point of view. In many ways Wyatt is evil, and he wins! Some would say, a very suitable Ned Kelly winner. Garry Disher's page on Text Publishing. This month's edition of the Agatha Christie blog carnival has 9 contributions from 13 contributors. This week's contribution to Pattinase's Friday's Forgotten Books is a book I have just completed reading. One summer evening in 1942 Flossie Rubrick, MP, one of the most formidable women in New Zealand, goes to her husband's wool shed to rehearse a patriotic speech and disappears. Three weeks later she turns up at an auction, packed inside one of her own bales of wool and very, very dead. As with COLOUR SCHEME (see mini-review below) Ngaio Marsh used World War II as the setting for DIED IN THE WOOL. Roderick Alleyn from Scotland Yard was in New Zealand as part of the war effort, seeking out fifth columnists and espionage undermining the war effort. Mount Moon station on the South Island is being used by two young men as a base for developing a new anti-aircraft device, and the authorities believe that the blueprints have been leaked. Marsh uses the setting as a country house, closed venue, mystery. There can only be a certain number of suspects, because of the isolation of the station. Alleyn arrives at Mount Moon over 18 months after Flossie Rubrick's murder and in fact after the death of her husband from illness. One of the interesting ploys of the plot is that Alleyn assembles the main characters and gets them each to tell their opinions of the dead Flossie, who does not appear to have been a very nice character at all. It was interesting to hear of the things that were concerning the characters (and by extension the author) late in the War. Flossie is very conscious that she must contribute to the war effort, although her offers of assistance to the War Cabinet in London have been repulsed. Three of the young people at Mount Moon station have already been "over there". The preoccupation with the possible presence of enemy agents is also interesting. I thought there were a few things apart from the setting that dated the book. The style was a bit ponderous and the vocabulary contained words no longer in frequent use. The plot was very carefully crafted though and has worn well. COLOUR SCHEME Believed by some to be her best novel, this classic by Ngaio Marsh is set in New Zealand during World War 2. Someone is assisting Germans to sink British ships off the coast of New Zealand and flashing lights on a nearby mountain are thought to be an enemy agent signalling a German boat or submarine. The setting is a run-down spa with boiling mud pools in the North Island near a Maori pa. This is an almost theatrical novel. Marsh makes extensive use of her knowledge of Maori customs and of course there is a murder, a victim lured into a boiling pool. Enter Roderick Alleyn on loan to the NZ government, searching for enemy agents. 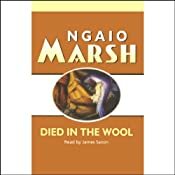 I'm counting DIED IN THE WOOL in my lists for 2011 Vintage Mystery Reading Challenge, Historical Fiction Challenge, 2011 Global Reading Challenge (7th Continent: History), and my list of New Zealand novels. Crime Fiction Journeys must be one of my best kept secrets, or so it seems from the fact that it attracts so few daily visitors. It's purpose is to provide a jumping off space to well over 100 crime fiction fiction blogs worthy of your attention. It uses RSS feeds from the blogs to provide an ever changing kaleidoscope of blog post snippets. It originally began as my blog roll of favourite blogs but gradually outgrew the space available in my sidebar. 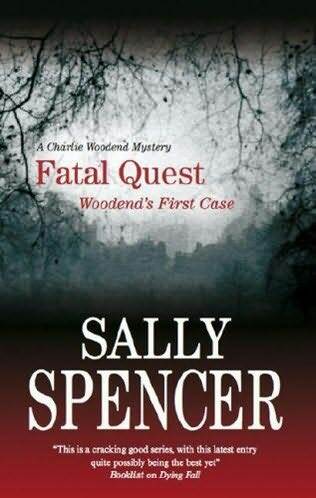 A Charlie Woodend Mystery his first . . - DS Charlie Woodend has a murder to solve. Trouble is, nobody seems to want him to solve it not Eddie, a Liverpudlian thug sent to threaten him; not DCI Bentley; not Deputy Commissioner Naylor, whose word is law in Scotland Yard; not even the dead girl's mother herself. But Woodend cares. He will find the murderer, he promises himself, even if that means putting his career and perhaps even his own life on the line. First of all, a warning: don't be deceived like I was, by the title, into thinking I was reading the first title in the Charlie Woodend series. In fact you are tackling the last in the series. It is June 1973 and Chief Inspector Charlie Woodend is about to retire after 25 years in the job, to hand over to Monika Paniatowski (whom I met in THE RING OF DEATH). Monika has been his protege and Charlie decides to tell her one last story, that of his first case, the one that very nearly ended his career in the police force before it had even got off the ground. Woodend fans should cherish this finale, which rounds out the professional career of Lancaster's famous subversive. There are 20 titles in the Woodend series, and I have the first of the Paniatowski series (which follows) on my shelf from the library. Will I go back and read more of the Woodend titles? I'm not sure, because as you know, I like to read books in series order. But perhaps I'm not yet stymied and I could even now pick up an earlier Woodend title. Certainly there's enough encouragement in the quality of the writing, a nice solid police procedural, a good read. Welcome to the February 20, 2011 edition of book review blog carnival. Lauren Obst presents There are so many colors in the rainbow. Which one are you? posted at The Very Hungry Bookworm. What if Princess Di had lived? Zohar of Man of la Book has been busy reading too. Jim Murdoch has reviewed The Story of Mr Sommer by Patrick Süskind at The Truth About Lies, saying, "A boy's village childhood with all the traditional attributes – father, mother, brother, sister, a house on a lake, tree climbing, going to the races, music lessons, a bicycle, a crush on a girl in the class – is bedevilled by the mystifying appearances of the eccentric Mr. Sommer. Moving through the landscape in silent haste, like a man possessed, with his empty rucksack and his long, odd-looking walking stick, Mr Sommer runs like a black thread through the boy’s days. A fascinating little book, very much a children’s book for adults." KerrieS reviewed THREE SECONDS, Roslund &Hellstrom at MYSTERIES in PARADISE, saying, "Gritty, noir, but believable crime fiction from Sweden. This book won the 2009 Swedish Academy of Crime Writers' Award for Swedish Crime Novel of the Year." KerrieS presents Review: BOUND, Vanda Symon posted at MYSTERIES in PARADISE. "#4 in a great New Zealand crime fiction series"
shah presents A Book Review of DRACULAS: A Novel of Terror. by Crouch, Kilborn, Strand and Wilson. posted at WordsinSync. Alicia Markey reviewed Await Your Reply by Dan Chaon posted at (th)ink. John Fawkes presents Book Review: Talent is Overrated posted at John Fawkes. Read Aloud ... Dad presents Stunning Read Alouds: The Seven Silly Eaters posted at Read Aloud Dad, saying, "The Seven Silly Eaters is a picture book that will take you by surprise. I came across it almost by chance, it cropped up while I was looking for books that would hopefully help to defuse a "fussy eater" situation in my own home..."
Clark Bjorke presents I'd Know You Anywhere posted at I'll Never Forget the Day I Read a Book!, saying, "A psychological thriller by Baltimore's finest." JHSEsq also reviewed I’d Know You Anywhere posted at Colloquium, saying, "She was allowed to live. All of Walter's other victims died. After being held captive for 39 days when she was just 15 years old, Eliza was freed to grow up & build the life for herself that she is currently enjoying. But Walter's date with execution is approaching and he wants something from her. Can she grant his request? At what cost to her? If Walter answers the question that has always haunted her -- why was she allowed to live when the others were not? -- will she finally find the peace that has eluded her for so many years? A fascinating exploration of a variety of issues, including the death penalty, "I'd Know You Anywhere" by Laura Lippman gets my highest recommendation." JHSEsq presents Book Review and Giveaway: Hush posted at Colloquium, saying, "Kate White's thriller, "Hush," is set in Manhattan and centers around Lake Warren, a woman who makes a couple of bad choices that may end up costing her everything: Her career, custody of her children . . . her life. It's a stylish, nuanced mystery about fertility clinic doctors who may be engaging in unscrupulous behavior with New York City as a prominent supporting character." Cynthia Merritt presents 25 Best Novels for Psychology Buffs posted at Masters in Health Care. Malia Russell presents Review- Sherri Graham's Intentional Planner posted at Homemaking 911, saying, "Always love checking out new planners. Here is one I tried out recently." Fred Tracy presents Power Vs Force: The Levels of Consciousness posted at Personal Development, saying, "Power Vs Force: The Hidden Determinants of Human Behavior by David Hawkins is a revolutionary book about the levels of consciousness, among many things. This provides us with a real concrete road map of sorts to happiness, bliss, and even enlightenment." Jeanne presents Hamlet's BlackBerry posted at Necromancy Never Pays, saying, "A book for tech addicts"
SenoraG presents My Father at 100 by Ron Reagan-Book Review posted at Reading, Reading & Life. TaraV presents Buy Buy Baby: A Review of Mini Shopaholic! Book posted at The Fabulous Shopping Mom Blog. Currently I am managing about a book a month, and now I'm back on schedule. I've read 25 books and 11 collections of short stories. 1945: a German bomber flies over Iceland in a blizzard; the crew have lost their way and eventually crash on the Vatnajökull glacier, the largest in Europe. Inexplicably, there are both German and American officers on board. One of the senior German officers claims that their best chance of survival is to try to walk to the nearest farm and sets off, a briefcase handcuffed to his wrist. He soon disappears into the white vastness. 1999, mid-winter, and the US Army is secretively trying to remove an aeroplane from the Vatnajökull glacier. By coincidence two young Icelanders become involved – but will pay with their lives. Before they are captured, one of the two contacts his sister, Kristin, who will not rest until she discovers the truth of her brother’s fate. Her pursuit puts her in great danger, leading her on a long and hazardous journey in search of the key to the riddle about Operation Napoleon. I didn't enjoy this as much as Indridason's Erlendur novels. I kept wondering if Erlendur would make even a cameo appearance. There was a detective (There have been some funny goings on here,’ observed the scruffily dressed detective in his early fifties ) but his appearances really came to nothing. 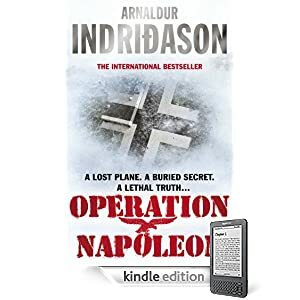 OPERATION NAPOLEON reminded me of thrillers that I used to read back in the 70s by writers like Jeffrey Jenkins, Alistair MacLean and Clive Cussler. The difference between those and OPERATION NAPOLEON is the character of Kristin. 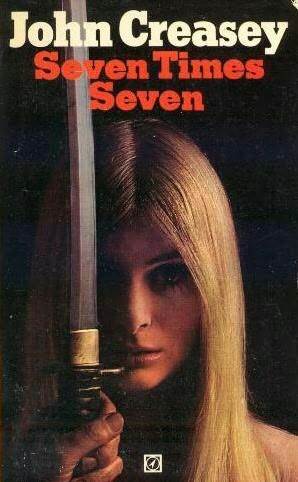 Those earlier thrillers rarely had capable women. It reminded me also of another novel I reviewed: THE MASK OF ATREUS by A.J. Hartley, mainly I think because of the idea of a secret cargo. One interesting element was the discussion of Icelandic dependency on US funding and assistance. A brutal home invasion shocks the nation. A man is murdered, his wife bound, gagged and left to watch. But when Detective Sam Shephard scratches the surface, the victim, a successful businessman, is not all he seems to be. This is #4 in the Sam Shephard series. The story opens with a prologue, a woman bound to a chair, looking at the body of her husband, the top of his head blown off, waiting for her teenage son to arrive home. The investigation of this horrific murder falls to D.I. Johns and his team. Sam Shephard, recently promoted to Detective, is the liaison with the wife and son of the victim. The local newspaper instantly puts pressure on the police task force to find the perpetrators of this "Killer Home Invasion." The description the victim's wife gives seems to tally with the idea of some sort of revenge killing, but what had John Henderson been involved in to become this sort of target? The plot of BOUND seems to change tack at least twice. The original murder is followed by two more deaths, one of which is a murder. There is a range of candidates for the second murder, and just when the first appears to be solved, Sam throws a spanner in the works. While I'm sure the author Vanda Symon has tried to make it possible for a new reader to meet Sam Shephard for the first time in BOUND, I find it hard to assess whether that would be realistic, as I've read them all. Elements of Sam's backstory flooded back to me as I read BOUND. Be that as it may, if BOUND is your first Sam Shephard novel, I'm sure you will be looking for the earlier novels. What BOUND does demonstrate is that Vanda Symon is a force to be reckoned with in Australasian, if not world, crime fiction. She is a skilled story teller, has managed the art of developing threads, at the same time as weaving peronal elements from Sam's life into the novel. And at the end, we are assured there will be another in this series - Sam has unfinished business. CONTAINMENT was shortlisted for the inaugural Ngaio Marsh crime fiction award in 2010. Two brothers find a grisly package clinging to the propeller of their barge in the Canal de Saint Martins, and by the time Maigret arrives most of a mysterious corpse has been assembled, except the head. The search shifts from finding the missing piece to finding a motive, as the Inspector's keen mind gathers clues from the torso which lead to a trio of suspects. A flash of intuition linking the principal suspect's sordid life to the whereabouts of the victim on his last day alive brings the case near its end but starts Maigret thinking about the reason for the crime. This is one of the Maigret novels that demonstrates quite clearly how timeless an author Simenon was. It is a case just made for Maigret who worries tenaciously at identifying the corpse, and once he thinks he has that nailed, takes the focus to who killed him and why. Another theme that emerges, that we tend to see frequently in more modern novels, is how the case takes over Maigret's thinking, and indeed his whole life. It serves to illustrate what a special person Madame Maigret is, in that this doesn't cause a marriage breakdown, but instead evokes a sort of sympathy from her, as she realises he is even eating without tasting. 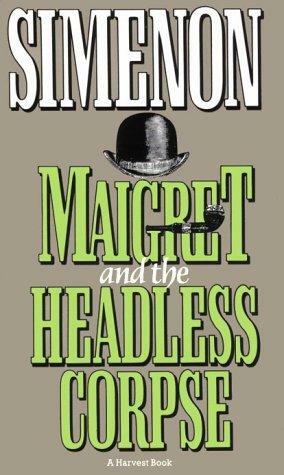 THE HEADLESS CORPSE illustrates how, like Sherlock Holmes in many ways, Maigret can assemble minute observations and then make an intuitive leap that generates a bigger question. I am listing this book in my 2011 Vintage Mystery Reading Challenge and of course among my "translated" books. This week's contribution to Pattinase's Friday's Forgotten Books comes from my records early in 1992. Are the murders of two women and the theft of antique jewellery the work of the same criminal? If so, Superintendent Roger West may have the wrong man in custody. What an incredible writer! Some of us have come across his creations on television (e.g.Gideon, and The Baron) without realising. He published his first novel SEVEN TIMES SEVEN in 1932 at the age of just 24. It is obvious if you check the lists that he was publishing up to 5 books a year. SCENE OF THE CRIME is listed at #29 in his Inspector West series which he wrote from 1942 to 1978. John Creasey (September 17, 1908 - June 9, 1973) was born in Southfields, Surrey, England and died in New Hall, Bodenham, Salisbury Wiltshire, England. He was the seventh of nine children in a working class home. He became an English author of crime thrillers, published in excess of 600 books under 20+ different pseudonyms. He invented many famous characters who would appear in a whole series of novels. Probably the most famous of these is Gideon of Scotland Yard, the basis for the television program Gideon's Way but others include Department Z, Dr. Palfrey, The Toff, Inspector Roger West, and The Baron (which was also made into a television series). He was awarded the MBE (Member of the Order of the British Empire) for services in the United Kingdom's National Savings Movement during World War II. In 1962, Creasey won an Edgar Award for Best Novel, from the Mystery Writers of America, for Gideon's Fire, written under the pen name J. J. Marric. And in 1969 he was given the MWA's highest honor, the Grand Master Award. 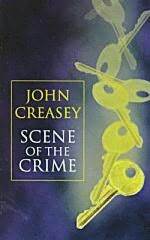 During 1953, John Creasey founded the Crime Writer's Association (CWA) in the UK. The CWA New Blood Dagger is an annual award given by the British Crime Writers' Association for first books by previously unpublished writers. It is given in memory of CWA founder John Creasey and was previously known as The John Creasey Memorial Award. The award is voted on by past winners and the prize consists of an ornamental dagger and £1,000. Last week, when I ran the post When did you begin to read crime fiction? at least one commenter suggested a follow up post should ask why. Now I'm a naturally squeamish person and blood, in the flesh so to speak, puts me right off. I can't hold the cat's paw at the vet's, let alone deal with grazed knees, deep cuts (or even shallow ones) etc. And graphic TV programmes such as Silent Witness have me hiding my eyes at the worst bits. So why does crime fiction have such a hold on me? Here are a few thoughts. OK - I'm not going to do all the work - over to you! Why do you read crime fiction? From the moment Alby drops his gun on a St. Kilda tram he knows he is in for a bad day. Then his partner Harry is gunned down in a Double Bay coffee shop. By lunchtime Alby realises someone wants him dead - and they want him dead now. Alby Murdoch is a famous photographer working for WorldPix International, a front for an Australian ultra-secret government department D-E-D, the Department for Extra-territorial Defence. He and his partner Harry are supposed to be doing the biannual positive vetting on US personnel at Bitter Springs, a US-Australian Joint Defence Facility out in the middle of nowhere. Harry it seems found something wrong with the CIA's list of 300 names and dates of birth of people working at the Springs. On the surface D-E-D DEAD! has all the hallmarks of a conventional spy thriller - assassins, bombs, car chases, and the obligatory beautiful female CIA agent. But the irreverent and comedic treatment that emerges at times shows that it is a spoof. Alby and his new friend Mary Travers flee to Bali and hitch a boat ride to Broome. An unconventional and enjoyable read if you don't mind a bit of Australian laconic humour and slang mixed into your thriller. Not entirely my cup of tea, but I still rated it at 4.4. McGeachin's first novel, FAT, FIFTY & F***ED! won the inaugural Australian Popular Fiction Competition and was published by Penguin in August 2004. Australian libraries and library associations are behind a campaign to turn 2012 into the National Year of Reading, NYOR, linking together all the great things that are already happening around books, reading and literacy, and giving them an extra boost, with fun programs and activities taking place across the country. Upcoming events listed on the website Love2Read include World Book Day on 3 March, and World Read Aloud Day on 9 March. And here at MYSTERIES in PARADISE we'll be doing our little bit throughout the year, because we all agree that reading is so important. The Patron of NYOR is William McInnes, writer, actor, narrator, popular speaker at various writers' weeks. We look forward to seeing him at various events. Contributors to this series of the Crime Fiction Alphabet are already stretching their brains (and mine!). In the past week we have a 3D post, a triple D posts, a post with a misleading title, some authors to look for in the D shelves of your library, as well as some D titles. Bernadette chatted about dogs in crime fiction, while Dorte asked who your favourite detective is. It is not too late to join in and you don't have to post each week if reading (or life) gets in the way. The autumn gloom comes quickly on the Swedish city of Gothenburg, and for Detective Inspector Erik Winter the days seem even shorter, the nights bleaker, when he is faced with two seemingly unrelated sets of perplexing crimes. The investigation of a series of assaults and a string of child abductions take Winter to "the flats," the barren prairies of rural Sweden whose wastelands conceal crimes as sinister as the land itself. Winter must deduce the labyrinthine connections between the cases before it is too late and his own family comes into danger. They never worked on one isolated case at a time. That might have been the situation in the best of all worlds, but that wasn't where they were living. In the best of all worlds they wouldn't have existed at all as a profession. In the best of all worlds there was no such thing as CID detectives, no uniformed police officers. Law and order took care of itself. Everybody lived in a land of milk and honey. In FROZEN TRACKS Edwardson brings together two seemingly separate threads: assaults on young male university students, and child abductions. The Gothenburg CID knows about the first because a couple of the students sustain life threatening injuries and end up in hospital. Knowledge about the child abductions accumulates only slowly, pointing up a hole in Sweden's decentralised policing system. Parents report severally to their local police station stories their 4 year olds are relating about being taken for a ride in a car, a "mister" who has offered them sweeties. But no-one connects the dots until it is nearly too late, and the stories remain just that, local reports that are never passed on to a central office. Christmas is approaching, and the various members of DCI Erik Winter's team have their own personal problems, one recovering from recent bereavement, one a wife leaves home unexpectedly, and Winter's own family wants to visit his mother on Costa del Sol. As Christmas gets closer the pressure rises, and in neither investigation are there any reliable witnesses, although the reader sees some of the abduction thread through the eyes of the abductor. 'This is the country we have built, the new Jerusalem,' said Winter. Like his more famous country man, Henning Mankell, for whom this is often a theme, Ake Edwardson asks how life in Sweden has come to this. I'm not sure however that I found the final tying off of the threads particularly credible. It also seemed to me that Edwardson used the idea that police investigators are routinely, because of economic pressures, required to deal with more than one case at once, as a justification for writing a complex novel in which the same team was required to handle two "serial" threads. I suspect also that it provided for him, as the author, a technically difficult writing challenge - or am I just being a little too cynical? 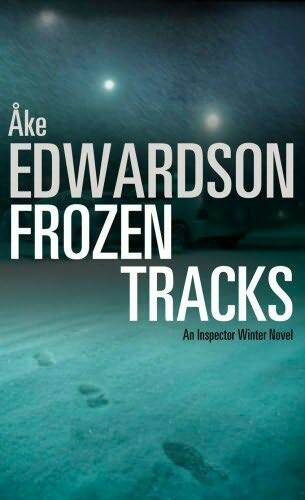 I'll be counting FROZEN TRACKS as a title in the Nordic Challenge 2011 and also for the letter F in Crime Fiction Alphabet.